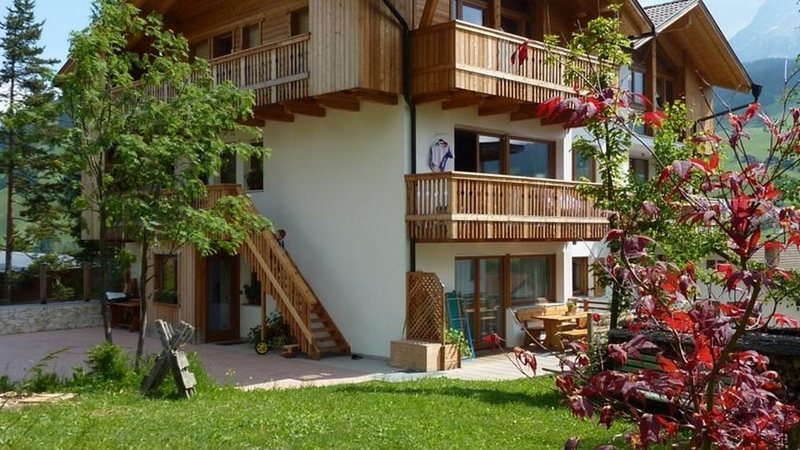 Studio apartments with Dolomites view, completely equipped, garden with playground & varied activities at any season! 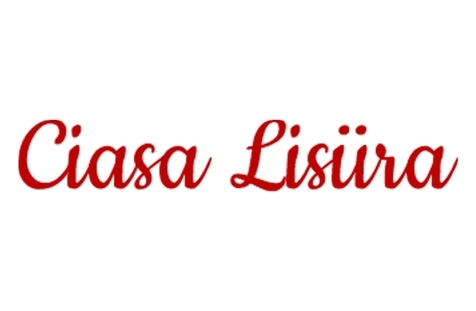 Welcome to the apartments of Ciasa Lisüra in Abtei – Alta Badia! Our house Ciasa Lisüra is located in a quiet position on 1.330 meters above sea level and offers a wonderful view over the Dolomites, including also the majestic Kreuzkofel. In only 10 minutes by car, you can reach the village of Stern/La Villa and the picturesque city of Bruneck, the principal valley of the Pustertal, is only 30 km away. Our house offers comfortable studio apartments for 2-3 persons, with free WIFI, terrace and a breathtaking view over the Dolomites. The apartments are furnished in the typical alpine country house style and offer parquet floors, a dining area, a flat screen satellite TV, a cooking corner with dishwasher and a private bathroom. Among other things, we offer daily cleaning, bed linen, towels, a washing machine and fresh bread service. The house also includes a garden with ply ground and barbecue corner, a ski deposit, as well as free parking spaces. On request, we offer a babysitting service. Domestic animals are welcome in our house. Furthermore, the apartments are bookable for a whole season. We welcome our guests with a little gift: a glass of our self-made delicious honey. In summer, you have the possibility to avail yourselves of fresh herbs from our garden. The environs of our house offer many leisure time activities all over the year. In summer, you may expect exciting mountain bike tours and unforgettable hikes in the Dolomites. In winter, you may reach the magnificent slopes by foot only 400 meters from your apartment. Crespula Apartment Communicating with Jalva Apartment. Up to 5 guests if rented together with Jalva Apartment. This spacious studio apartment is furnished using restored antique wood from the owners’ mountain huts. The room is composed of a double bed, a single bed and a kitchenette with gas hob, fridge with freezer, dishwasher, Nespresso coffee machine and electric kettle. Available upon request: microwave oven, toaster and drip coffee-maker. The bathroom is equipped shower, WC, bidet, heated towel rails and hairdryer. The apartment features large windows and an access to a private terrace with a table, a bench and a marvellous view over the ridges of Sass dla Crusc and Lavarella, ablaze with the last rays of sunset. The apartment’s layout allows to connect it to Jalva Apartment, transforming the two separate spaces into one ample apartment for 4-5 guests with 2 bedrooms and 2 bathrooms. Mountain Panoramic Suite “Ciüf dl Tonn” This charming family-size apartment for 2-9 people has been built using the wood of old barns, to maintain the link with the rural world of the past and with the Ladin traditions. The warm colors of the furnishings, the stones and the various types of wood make the atmosphere particularly comfortable and pleasant. The real value of the apartment is, finally, the furnishings of the two double bedrooms, each with its own bathroom and with hand-made furniture, using the precious Swiss stone pine cut into the woods of the place. It is scientifically proven that the scent of Swiss pine helps the heartbeat, relaxes and promotes sleep. The living room is also very cozy, with a double sofa bed, a dining area and a kitchenette with all the necessary accessories. It also has a second level that can be used as a play corner for children or as a third bedroom. The very spacious apartment on the third floor offers a splendid view towards Santa Croce, thanks also to the large windows and the balcony on the east side of the building.